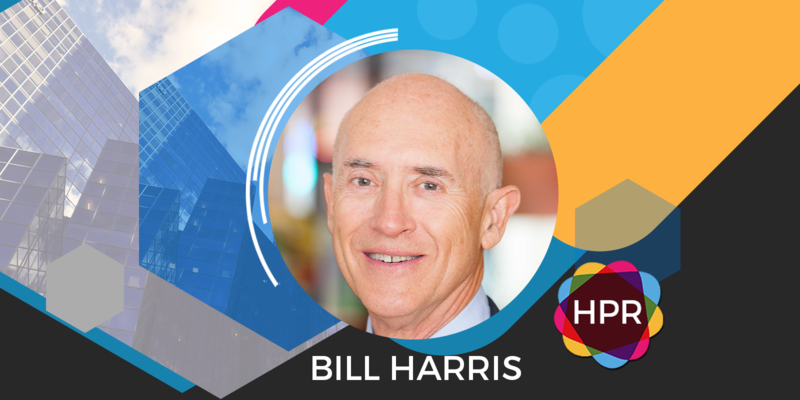 Guest Bio: Dr. Bill Harris is the President and CEO of Omegaquant and he is an internationally recognised expert on omega-3 fatty acids and how they can benefit patients with heart disease. He obtained his PhD in Human Nutrition from the University of Minnesota, and completed post-doctoral fellowships in Clinical Nutrition and Lipid Metabolism with Dr Bill Connor at the Oregon Health Sciences University. His interest in omega-3 fatty acids began with his postdoctoral work when he published his first study on the effects of salmon oil on serum lipids in humans (1980). Since that time, he has been the recipient of five NIH grants for studies on the effects of omega-3 fatty acids (EPA and DHA) on human health. He has over 190 publications relating to omega-3 fatty acids in medical literature and was an author on two American Heart Association (AHA) scientific statements on fatty acids. Segment Overview: In today’s interview, Dr. Bill Harris joins the program in order to promote a new innovative self-administered Omega 3 Test called Omegaquant. He also highlights the various health benefits of Omega 3 such as having a lower risk of cardiovascular disease. Tabetha Moreto: Hello everyone, welcome to Health Professional Radio. I’m your host for today, Tabetha Moreto. Our guest today is Dr. Bill Harris, an expert on omega-3 fatty acid and how they can benefit patients with heart disease. Today we’re going to talk about something very interesting, the launching of a self-administered omega-3 test called “Omegaquant”. Without further ado, welcome to the show Bill. It’s very nice to have you here. Bill Harris: Well thank you very much for having me. T: My pleasure. Bill, please tell the audience more about yourself and the nature of your work. B: Sure. My area of expertise is nutrition and I’ve been studying omega-3 fatty acids and I’ve been on the faculty of three medical schools in my career. Currently, I live in South Dakota in Northern United States and I’m continuing to work with the omega-3 field having developed about 13 years ago, the blood tests that you mentioned Tabetha is we got started. T: Excellent. So tell the audience more about this omega-3 test. What makes it so special? B: The omega-3 test, I call it the Omega-3 Index and it’s done from a dried blood spot, the single spot of blood collected on a filter paper and then mailed to the laboratory. What it is, it gives you an assessment of the amount of omega-3 EPA and DHA that are in the person’s tissues. We know that what’s in the blood reflects very strongly what’s in the vast majority of organs in the body – the liver, the heart, etc. So we use the omega-3 level in the blood as a marker of omega-3 status throughout the body. The test has been used in many studies at this point and it’s become more and more standard for measuring omega-3 status. T: That’s good to know that there’s a test out there that lets people know what is their omega-3 levels. B: Right, exactly. It’s very easy to do and it’s a very important markers not just knowing what your EPA and DHA level is and we express it, the numbers you would get on the test would be something between say 2% and 10% and what that means is it’s a percent of the fatty acids that are in red blood cell membranes so we’re really measuring a cell membrane level of omega-3, the red cell and it’s a percent of the fatty acids and cell membrane that our EPA and DHA, so that will range from depending on how much omega-3 between 2% and you know 10, 12, 15 percent at some time. So the number comes as a percent and it’s very much like hemoglobin A1c test for a diabetic, that’s the analogy I use a lot because that test also measures the glucose status in red blood cells and hemoglobin and it’s a very stable marker. This doesn’t have the ups and downs, the spikes of plasma glucose and similarly the omega-3 index which is a red cell measure doesn’t have the ups and downs of plasma omega-3. So it’s a much more stable long-term marker omega-3 status. T: That’s good to know. Tell us, why is it important to have a normal omega-3 level? B: Well I’ll get picky with you on the word “normal.” You know what I mean. Nobody wants to be normal, a normal body weight in America, that’s terrible. The average level of omega-3 in say North America or in the Australia is in the neighborhood of four to five percent. Another population we’d like to compare to is the Japanese where they have much, much less heart disease and much greater longevity, they live longer than we do. Their omega-3 index on averages around 9 or 10 percent, twice as high and it’s simply because they eat from maybe minus 9 months on from conception, they’re close to a higher omega-3 level from all the fish. And the American or the Australian levels of the omega-3 index indicate a low level that’s associated with higher risk for cardiovascular disease. So we consider the omega-3 index not just a marker of how much omega-3 you got but also just like cholesterol in a way, a risk factor. It’s something that indicates what level of risk for a disease and it’s something that you can do something about, you can fix it. You can fix it, unlike cholesterol, you really can fix it completely with diet or maybe some nutritional supplements. So it’s important to know… but if it’s low, it indicates increased risk for future adverse events and you can fix it, you can change it and that will reduce your risk, so that’s important. T: Yes, I agree with you and it looks like Americans and Australians can really learn from the Japanese. B: Yes, at least in that category for sure. T: Yes, absolutely. It looks like we have to eat more fish. B: Well right, that opens up a whole another … fish as they say which is you know, we’re going to get all these fish? If every person in the world was to eat what’s recommended, we haven’t got enough fish either from wild cod or agriculture at this point to do it. So we’ve got to find new sources of the omega-3s and there’s a lot of research in that may be plant sources or algae sources, things like that. T: Yes, that’s true. So Bill can you tell the audience what advice can you give them in order to increase their omega-3 levels? B: That’s a good question and the simple answer is eat more a little bit oily or fatty fish, that doesn’t mean fried fish by the way, not that kind of oil. Like salmon, is a classically very good source of omega-3, then you get into mackerel, herring, sardines, albacore tuna is a good source of omega-3. Typically what we think of fish that you would bake, boil not the ones you would try, those are the kinds of fish that have the most omega-3. I should mention that there is a plant omega-3 that’s typically provided from flaxseed oil, flaxseed or chia seed oil called Alpha Linolenic Acid (ALA) and chemically speaking, it’s an omega-3 but it’s a shorter chain, very kind of a poor second cousin to the EPA and DHA that are in fish oils which are also on the omega-3 family. And really eating the plant omega-3, the plant oils that have ALA does not raise your omega-3 index because those fatty acids are not converted well in the body to EPA and DHA and those are all EPA and DHA is all that accounts, we talk about the omega-3 index. So these best sources are not plant oils, not flaxseed oil, but it’s going to be fish oil, krill oil, algae oils and eating seafood. T: Excellent advice Bill. Now before we go, what is your main takeaway message to all of our listeners out there? What would you like to tell them? B: Well I’d like to tell them how they can get the omega-3 test done on either themselves or on their patients and that would be simply by going to our website which is www.omegaquant.com and the test can be ordered there. We’ll send you a dried blood spot collection kit and an envelope to send it back and then we return the results to you in a PDF form within 5 days or so of receiving the sample in the lab. The tests currently in U.S. dollars is $55, it includes everything, shipping and analysis. And so we have also opened the laboratory in Australia just last month. So at this point, we’re going to be processing samples from this part of the world here in Brisbane which will be a faster turnaround. So that would be my most important take-home is to order the tests on your patients, find out what their omega-3 status is and if it’s too low, fix it. T: Excellent message. Thank you so much Bill for coming on the show. I really appreciate it. B: You bet that, I appreciate it. T: And that was Dr. bill Harris, we just been talking about the new self administered omega-3 test called “Omegaquant” and the importance of omega-3 to our health. If you liked this interview, transcripts and archives are available at www.hpr.fm. We’re on all social media platforms so don’t forget to follow, like and subscribe. Show us your love by subscribing to our YouTube channel. We’re also available for download on SoundCloud and iTunes. I’m Tabetha Moreto and you’re listening to Health Professional Radio.